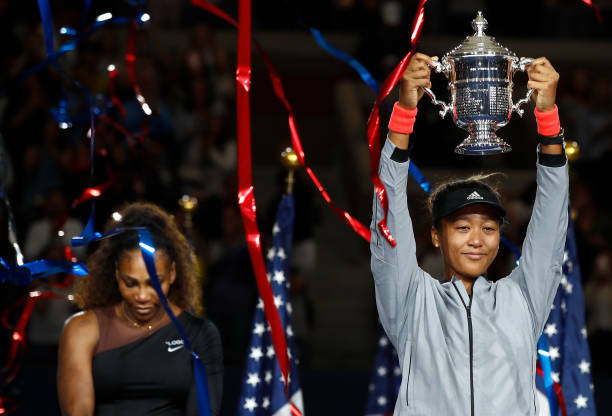 As Naomi Osaka recently made history by beating Serena Williams at the U.S. Open in wrapped up a 6-2, 6-4 victory for her first Grand Slam title. In a general comparison the two daughters of Leonard Francois (Naomi and Mari) and Richard Williams’ daughters (Serena and Venus) these duos have something very obvious in common, being two sets of black women who have risen through resilience and motivation to transcend the ranks of tennis to the highest competitive international level by their own parents. 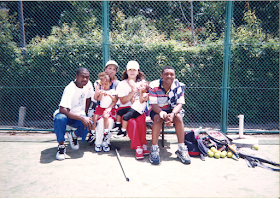 Naomi’s father, Leonard who been her life-long coach actually he emulated the coaching doctrine of Richard Williams, who also trained his own daughters Serena and Venus in U.S.
As an introduction Naomi was born on 16 October,1997 at Chūō-ku, in Osaka prefecture, Japan to Leonard Maxime François and her mother is Tamaki Osaka. Leonard Francois born at Jacmel a place located in the south eastern province of the Republic of Haiti. He naturalized as U.S citizen. 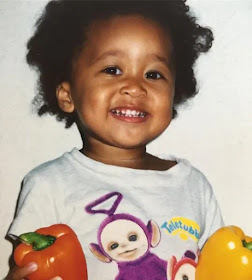 Naomi elder sister called Mari who born (03 April,1996) she is also a professional tennis player, she doesn’t command popularity in the industry. The two girls were given ”Osaka” name adopted from their mother’s maiden name for practical memorabilia to the city. The parents had first met each other when Leonard visited Japan after graduating from New York University in U.S. He went to Japan and living there for more than ten years.Leonard was among the global oriented foreigners who came to Sapporo in Hokkaido, Japan in early 1990s for searching life experience and better opportunities. He was the only few black men found in the rest of Hokkaido. Tamaki met this handsome college student, a moment he left New York in 1995. They dated for a few years and eventually tied the knot. The two started dating, keeping their relationship under a closet unknown by her parents for several years. 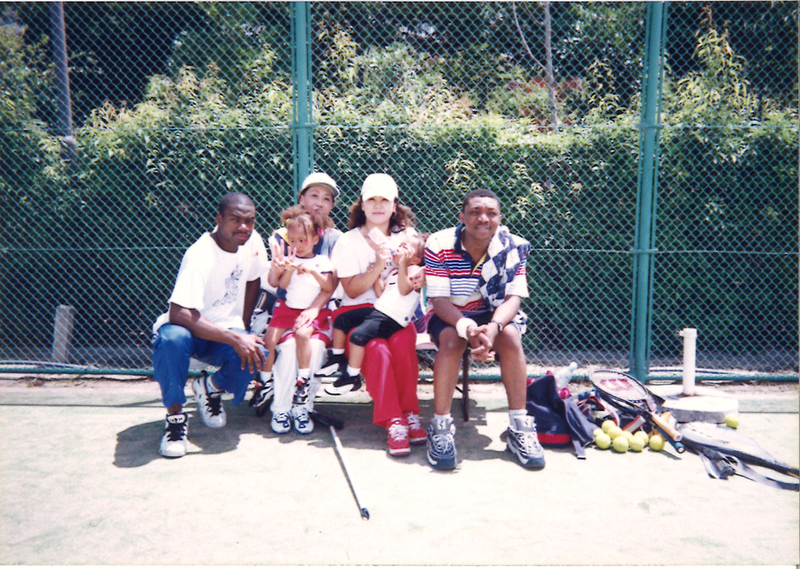 Nostalgic photo showing Leonard Francois, far left, and Tamaki Osaka, second from right, with their daughters Mari, left, and Naomi plus friends in Osaka, Japan, in 1999: Credit Osaka family.Japan as a homogeneous society has long history of guarding itself against foreign cultures dating since the 1630s, the era of Japanese feudalism, when the Tokugawa (shogunate) cut off the entire archipelago from the rest the world. The sense of separatism cultivated over the centuries remains strongly present, especially in some places like Nemuro, at the coastal town where Tamaki grew up. Nemuro is on the eastern tip of Hokkaido, Japan’s northern island, which is a bastion of homogeneity and Japanese feudal traditions likeSamurai warriors and Katana. Tamaki her world just opened up when her mother sent her from a typical home environment to the high school in Sapporo, Hokkaido’s capital, where a new wave of globalization and multiculturalism gradually taking effect. 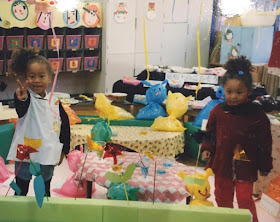 Naomi Osaka (3 years) and her older sister Mari Osaka (4 years): Photo Osaka family.After 10 years living in Japan, Leonard and his family moved to Southern Florida in U.S in 2006 to focus on kids’ tennis development full time. He started training Mari and Naomi since they were four and other one three respectively. In the country like U.S, with access to a gym and free public courts, Leonard was able to initiate his plan in the earnest way. He girded the kids with instructional books,training DVDs or anything that can develop the two daughters to have extrasensory and passion in tennis sport. 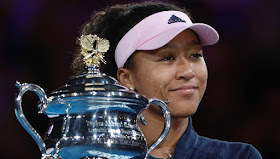 Japan’s Naomi Osaka holds her trophy after defeating Petra Kvitova of the Czech Republic in the women’s singles final at the Australian Open in Melbourne, Australian 26 January 2019.Back in U.S: As children went off the school bus, the two sisters trained every day on the Pembroke Pines public courts and at the same time were home-schooled at night. Leonard tried registering his daughters at American Tennis Association but the organization showed little interest in helping to develop both Mari and Naomi. Thereafter he chose the Japanese Tennis Association for training the daughters. Leonard made a pivotal decision: His daughters, from now on would play under Japanese flag, the nation they left behind nearly a decade earlier. Naomi finally made into the WTA Tour in 2014. The girls grew in strength and talent include time experience. (Mari, whose early career has been slowed by injury she sustained, she is now ranked No. 350 in the world.). Leonard’s girls were sharp and managed to skipped many usual circuit of junior tournaments and, eventually, started competing against older players on the pro satellite tours, just as the Williams sisters had done. With a growth spurt in her early teens, Naomi soon towered over Mari. Video clips of the girls’ matches and training began circulating among coaches andagents, but neither sister had an impressive junior ranking or much tournament experience. Tamaki Osaka and Leonard Francois and their two daughters sizzling in Long island, New York.The visiting family was welcomed by FHT officials, among the governmental officials were Junior Etienne, (Sport President), Francky St-Louis (Vice-President), Fitz Gérald Brandt and Franck Alain Beauduy called on young members of the Haiti’s youth team such as Richardlyne Francois, Christopher Borgelin, Fritzterson St. Louis, James Adler Germinal, Krishna Maurice who were present to embrace sport and take a role model from Naomi Osaka. 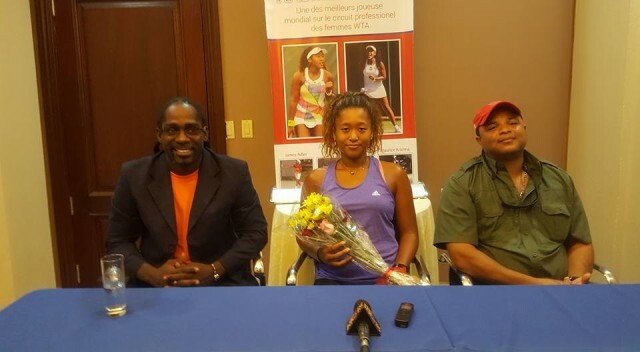 Latter, after exchanging a few snowshoes, under the eyes of the star of the world’s women’s tennis, she was presented with a bouquet of flowers as a token of appreciation from the people of Haiti. Naomi holding a flower sitting along with Haitian sport officials when she visited them Oct 2016.The decision to visit Haiti, she says, was a personal decision. She praising Haitian cuisine! She took the opportunity to explain: “In New York, I lived with several members of my father’s family (grandmother, cousins). We only ate Haitian food. “I grew up surrounded by Haitian and Japanese culture”. She added, that her father’s parents in Haiti, don’t speak English only spoke Haitian Creole. My grandparents cooked traditional recipes like “spicy Haitian stew”. Although her father’s parents, spoke no English, however they do filled the air with good aroma and appreciation. ”I had already visited Japan, I wanted to visit Haiti. Although I have heard many negative comments about Haiti. I can not believe it. That’s why I had a huge desire to walk the Haitian soil, I visited my father’s town, Jacmel, and other places in the country.” said Naomi. Naomi loves giving care for desperate ones, she visited her father’s native country Haiti in 2016.I could see that Haiti is a very beautiful little country. Negative comments do not reflect the reality. ” Speaking to Haitian youth tennis club, she commented positively on the idea of ​​serving the country: “I would have liked to be the ambassador of my dual countries because I feel as a Haitian. There are some very beautiful places in Haiti that can be marketed to the world in attracting tourism. It will be a pleasure to do so. Seeing the exchanges between young people, without fear of being denied, I believe that Haitian youth tennis has a future. However, players need the help of everyone to reach the highest level. ” Visibly Naomi was enthusiastic and happy to have visited Haiti with her parents Léonard François and Tamaki Osaka. In addition; Naomi promised to return to Haiti , in a more formal setting. 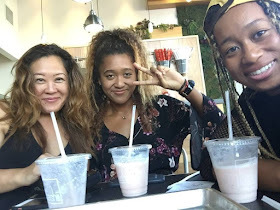 Tamaki Osaka and Naomi and Mari at the public restaurant:Photo source Osaka family. During that year the moment after she visited Haiti, she won several tournaments. First she pinned down the Ukrainian Elina Svitolina (No. 18) to reach the third round of the Australian Open. Then, she chained another victory against the Italian Sara Errani (No 14) at the Miami tournament bash. Naomi, also defeated Latvian Jelena Ostapenko (No 32) at Roland Garros. At the US Open, she took the best at the expense of the American Coco Vandeweghe (No. 28). To this, we must also add that in September 2016, Naomi was able to reached the final of the Tokyo tournament. To succeed, she defeated Dominika Cibulkova of Slovakia (No. 12). She was 40th in the WTA rankings. Naomi said, the high level is not just about winning all the time. Since I’m new to the circuit, I need to gain experience. For the rest, I played a host of big tournaments. If you look at the results, I’m not too far from the goal. I know that I still have to work very hard to reach it. I have the mental strength, the confidence and the will to go forward. It’s only a matter of time for me to shine at the highest level. Especially since many Haitians in New York have always made special trips visiting us just to support me. My favorite surface is hard, but I have no problem with the grass. 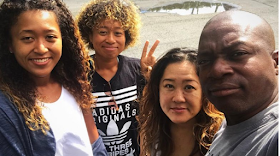 Mr. Shinji Yoshikawa a women’s coach of the Japan Tennis Association stated that in September 2013 he witnessed Naomi’s first playing experience (when she was 16 years old) and that time she was learning at Harold Solomon Academy. 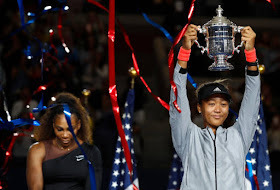 Naomi Osaka scooping the Grand Slam Title at US Open on 08 September 2018.Naomi’s success and her affection for both two nations and more specifically Japan has draw million Japanese fans who reeling for a female world super star. What makes Naomi so special for Japan is precisely what makes her so appealing to many fans and the corporate brands around the world. Naomi is Nissan’s ambassador “I love GT-R Nissan car because it’s fast! ”I am deeply moved by being able to support my tennis activities to one of the world’s leading automobile companies. I am at stake of Nissan Motor, which is challenging to change the history of cars by electric cars and automatic driving, I am very much sympathizing and I think that by challenging for the queen of the world, it would be good to change the history of girls’ tennis of the future ” As a young woman with fearsome touch and 120-mile-per-hour serve. “When I look 15 years into the future, I see Naomi having a great tennis career, perhaps even with Grand Slam titles,” Stuart Duguid, her agent at I.M.G., says. “But I also hope that she’s changed cultural perceptions of multiracial people in Japan. I hope she’s opened the door for other people to follow, not just in tennis or sports, but for all of society. She can be an ambassador for change.” The decision to play for Japan has had major repercussions in Osaka’s life, from the way she is perceived in Japan and the United States to the size of the endorsement contracts she can now command as a top Japanese athlete ahead of the 2020 Tokyo Olympics. 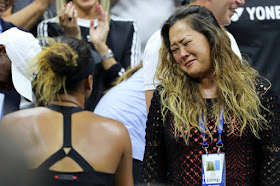 Naomi’s mother Tamaki shed tears after Naomi defeated Serena Williams in the final:Getty Image.Naomi Osaka of Japan celebrates winning the finals match against Serena Williams of the United States with her mother Tamaki Osaka sheding some tears of joy during the 2018 US Open at the USTA Billie Jean King National Tennis Center in New York City. It was a spectacular event when she face-off with the mighty of Williams. Serena Williams lose the Gram Award to Naomi Osaka at US Open 8 Sept 2018.Getty Image. At 21, she is the youngest woman in the world — and Japan’s highest-ranked female player in more than a decade. Serena Williams declared two years ago that Naomi was “very dangerous.” So it wasn’t a complete surprise when she put together a spectacular run in March at Indian Wells, in California, demolishing three current or former world No.1s on the way to her first W.T.A. title. Osaka’s family living on the hyphen of balancing Japanese, American and Haitian cultures — is something Osaka has done all her life. And she has become quite aware that her mixed identity may bring her more fans around the world. “Maybe it’s because they can’t really pinpoint what I am,” she has said, “so it’s like anybody can cheer for me.” In Japan, sports fans a very proud for the rising star that playing for the land of the rising sun, Japan.